Fairfax County Asks, "Where's George Washington?" 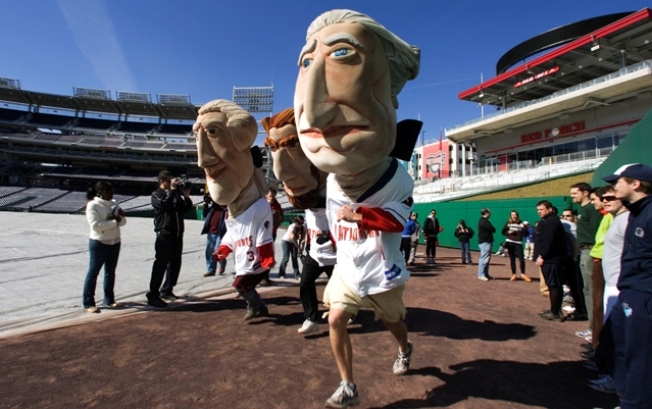 If Fairfax County sends the George with the big head, he should be easy to find. FAIRFAX, Va. -- Fairfax County is sending George Washington on the road to drum up some tourism business. A new PR and ad campaign to draw tourists to the county includes sending a George Washington actor and interpreter from Mount Vernon to make appearances in New York and Philadelphia, the Washington Business Journal reported. No.1's appearances will include the "Today" show. In addition to a find George scavenger hunt, the campaign includes print, viral, outdoor and online advertising, including Twitter and Facebook.